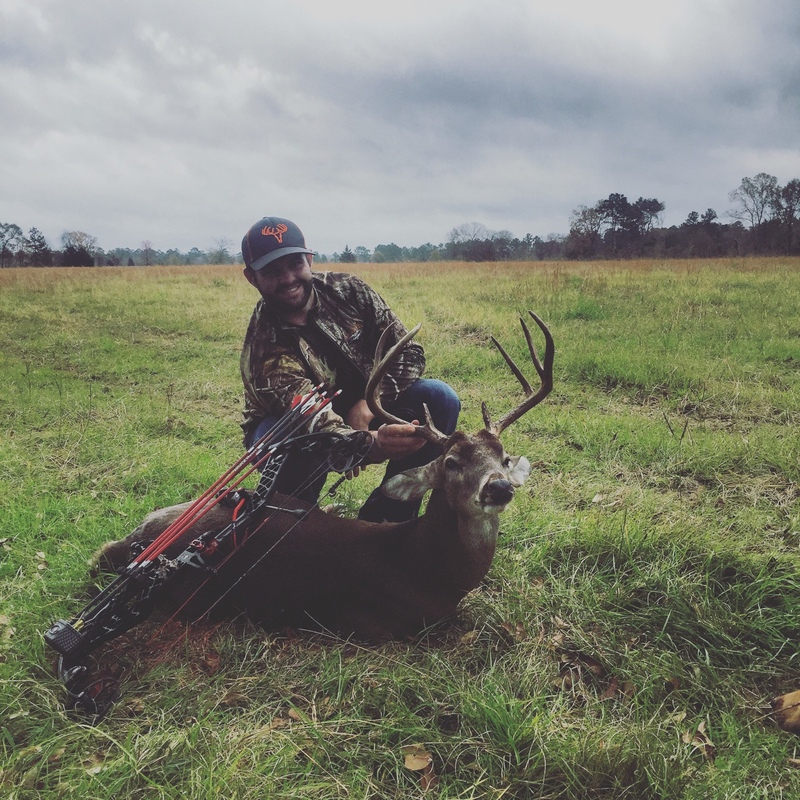 It's been a long, long road from my last east Texas buck to this one. About 7 years when we were still a two buck county ago I killed a pope & young buck with my bow for my first bow kill, then doubled up with a 130" with with my gun. 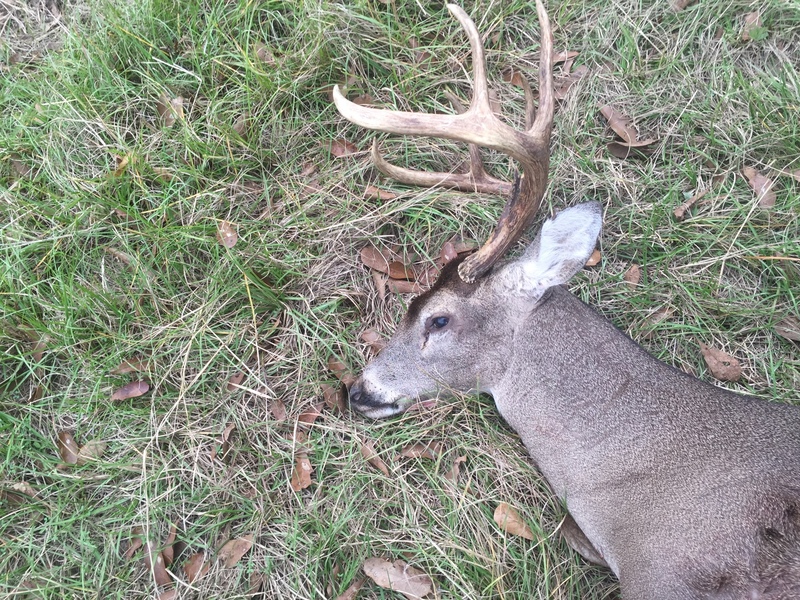 The next October I missed a 140" 6.5 yr old 9 point at 19 yards with my bow. Flat out I didn't practice any that year and it cost me. Later that year I killed a mainframe 12 that scored 135", totally fooled me and was only 3.5 yrs old. I was sick after this. I knew I wanted to get my deer to 4.5+ if possible and I vowed from then I was going to start holding out for true monsters. Since then I have passed a ton of deer, over a dozen that would easily have been my personal best with gun and bow. I became obsessed with cameras and growing big deer. I've chased 3 really big deer and had my dad kill two of them (161 & 162") and a neighbor killed the freak which went (184"). I passed two of these deer as 4.5 ur olds with my rifle and although I didn't put my tag on them I couldn't be happier or more proud of my dad and what we've been able to do. Fast forward to this year, I still havnt killed a buck in East Texas in 6 years. I really put a ton into bow hunting and have picked a good bit of more places to hunt. I own a crossfit gym and have a ton of free time and I definitely take advantage come season. It was a great year, I saw dozens of mature deer. One monster in bow season in the 50's that was a definite shooter but never got closer than 150 yards. All of October I stayed with my bow, gun hunted all November then went back to the bow in December. It was a balmy 80 degrees. I was swatting mosquitoes left and right. It had barely broke day when had I a big bodied deer coming in at a good clip. Immediately the heart rate elevated a little ask could tell it was a solid deer. He jumped straight in the pen and went to work on my rice bran. I snapped a few photos with my phone and just settled in to wait. I still didn't really have the daylight to get a good luck at the buck. As it became lighter and the birds woke up I kept getting more excited about the deer below me. He had really long beams. I finally decided it was a solid deer. He was mature and I didn't really feel like he was going to be anything special in the future. A few more head turns and those 22" beams sucked me in. I grabbed my Mathews and my heart instantly jumped to 100 bpm...funny how quickly adrenaline can course through your veins and change everything. I put the rage in his last rib quartering away. I settled in, 1-1000, 2-1000, in my head then let her rip. He hit the pen on the way out, reversed course and made it about 20 yards before piling up. 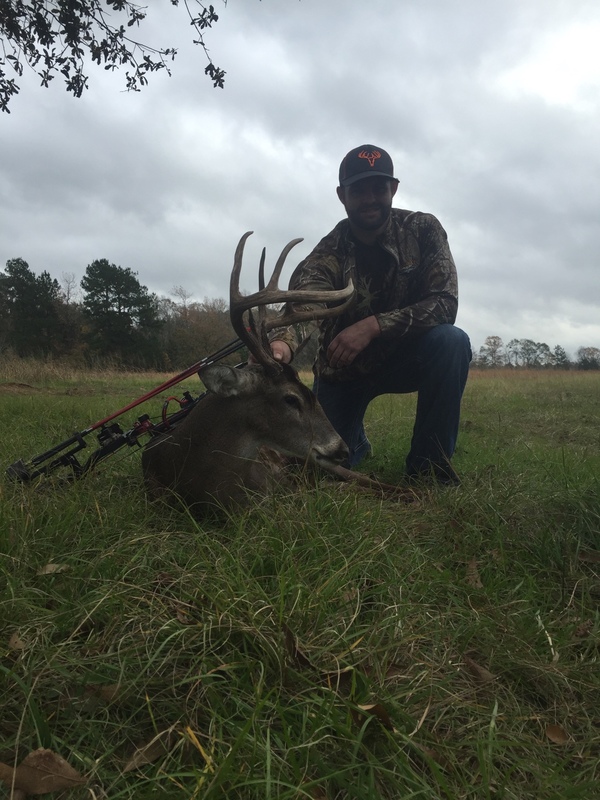 It had been a journey from my last east texas buck to the last. I passed so mAny deer in that time. 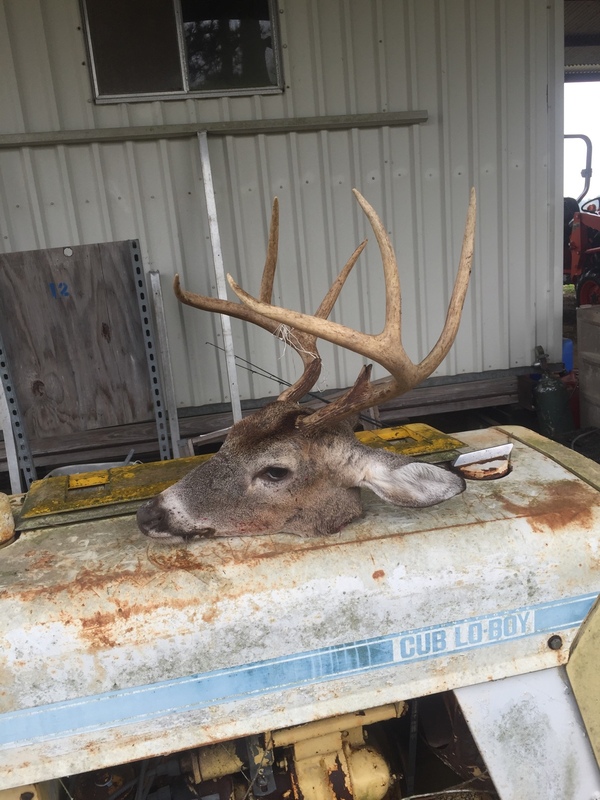 A ton bigger score wise than this deer, even this year with my bow in hand I passed a deer that would score 10-15" bigger but wasn't old enough. I couldn't have been happier. He went low 120's and will forever be that icebreaker buck for me that got me back in the game. 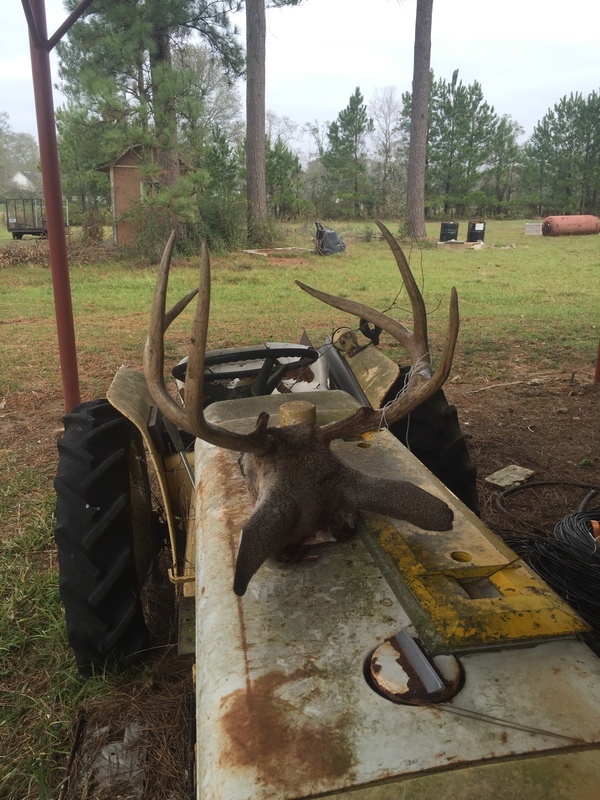 A week later in Walker county I had a really good deer come in that had been previously shot. He was bad off. Skin and bones. He was mature but I most likely would have given him another year as I had already passed him a few times but he wouldn't have survived so I ran an arrow through him as well. He was low 120's as well with 22" beams. Im very blessed to be able to spend the time I do in the woods. 1000's & 1000's of hours went into these two bucks. Can't wait to see what next year holds...thanks and enjoy. Last edited by Tshelly; 01-10-2016 at 08:15 AM. Congrats on your bucks and your patience and persistance! Congrats, great buck ! 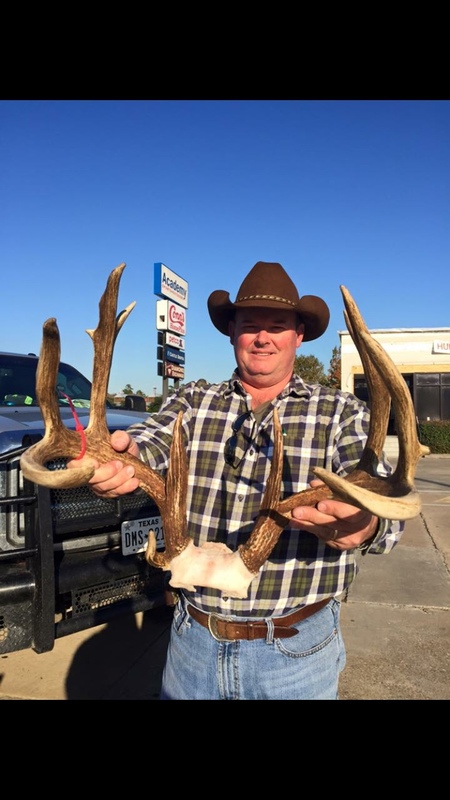 Btw, how big was the buck that won y'alls contest ? What county ? Nothing but respect here . I know how you hunt and those are well deserved deer. No telling what next year will bring your way! That is a great year! Congrats! 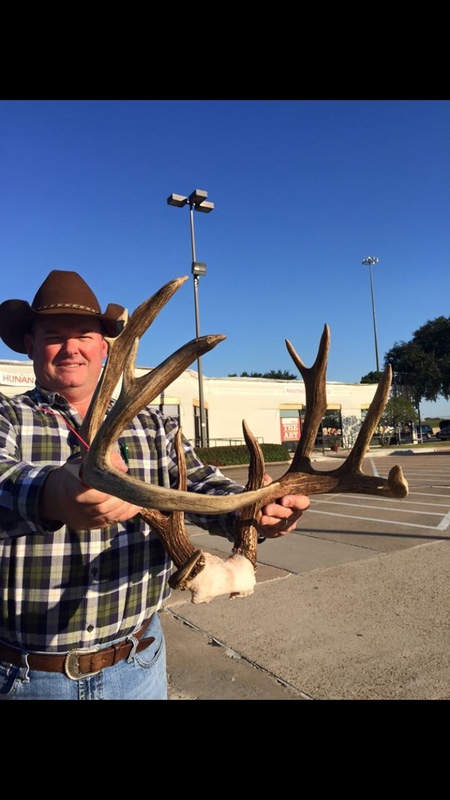 Just out of curiosity, Is this the 8pt thats leading the contest? Enjoyed following your hunts and congrats on 2 fine deer! Hard work and dedication paid off ... Congrats to you. Lol finally!! You are going to feel the same way once you connect at your home place.